- Entry for DSS#73 "Rush!" Amazing shot! 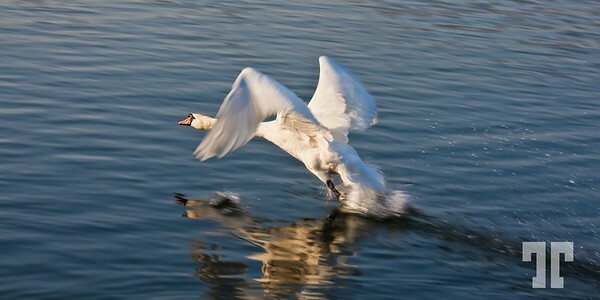 It's great how the swan's face and body are in perfect focus and then the wings are blurred to give the appearance of motion. Nicely captured water droplets flying out behind and reflection. Bravo! Great action catch, and to even get a reflection? I'm envious! Terrific capture; you can really feel the bird's effort and power! Super capture and I love the reflection.